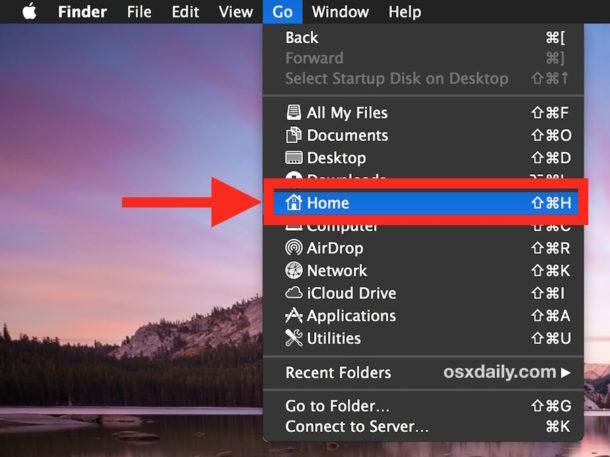 Having the user Downloads folder in the Dock for Mac OS is undeniably convenient for quick access to downloaded files, so if you have accidentally deleted the Downloads folder from the Dock, or the Downloads folder is missing from the Mac Dock for some other reason, you may want to restore it back to it’s original Dock location. 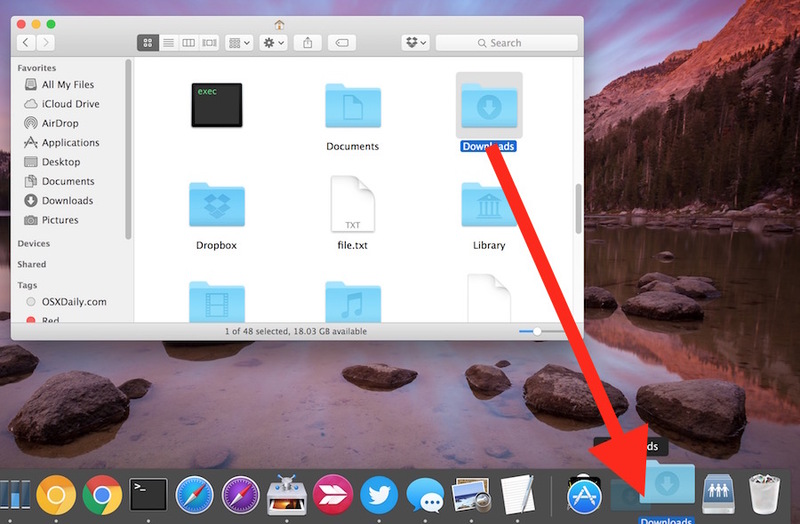 Worry not, getting the Downloads icon back into the Dock on a Mac is super easy. This is probably obvious and goes without saying, but if your Mac Dock already has the Downloads folder in it, which is the default state of the Dock for that folder to be included, then following these steps won’t do anything. But, you could add any other folder to the Dock this way. That’s it, the Downloads folder is no longer missing from the Dock, it’s now back in the Mac Dock where it is by default. You can use this same method to return other folders to the Mac Dock if they turn up missing. If you prefer keyboard shortcuts, you can also use to add an item to Mac Dock with Control+Command+Shift+T keystroke. While having the Download folder in the Dock is very convenient, there are many ways to access Downloads on the Mac, including multiple methods of navigating to the directory in the Finder, using file search, keyboard shortcuts, and more. Of course another option is to reset the Mac OS Dock to it’s default icon set which would also include the Downloads directory, but that also clears out every other Dock customization that has been made, including any app arrangements, so that’s less than ideal for most users and is really best as a troubleshooting step. 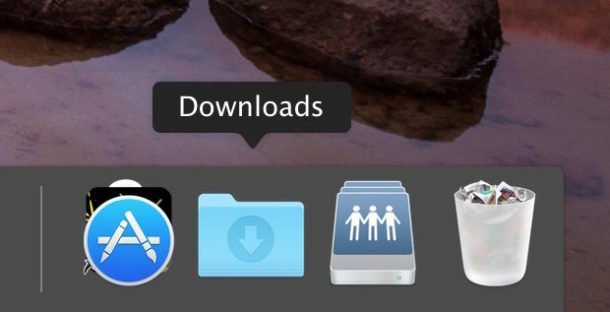 Why is the Downloads icon missing from the Mac Dock? Usually the Downloads icon disappears from the Mac Dock because it was accidentally deleted from the Dock. This can be intentional too of course, but users will often accidentally remove icons from the Dock by clicking and dragging them. You can remove any icon from the Mac Dock by dragging it out, much like you can use the steps above to add an item back into the Dock on a Mac. Rarely, the Downloads icon disappears from the Dock on a Mac because of some other issue or after a system software update. Regardless of why it’s gone, restoring the deleted Download icon to Dock is the same approach as detailed above. I just keep the Home folder there, from which I access ALL my folders, not just the Download one. The possessive of “it” is “its.” It’s true. Axel yes it is true, you can put your Dock where ever you want to. You possess your Dock and your computer and you can adjust it as you wish. If you want to put it at the bottom of the screen again, you can drag it there. Or do it through Preferences for Dock. I teach my classes of senior citizens to download to the desktop. Why? Because seniors, and I am one, forget to empty their downloads folder. It didn’t work … I drag it down to the dock and it bounces back to home. Why is that? Didn’t work for me either–ends up on desktop, not where it’s supposed to go according to these directions. The Downloads folder escaped from the Dock and it will not return, as outlined in the instructions. Any other suggestions? I had this happen, too. I didn’t realize the it went to the RIGHT of the faint gray vertical line and to the LEFT of the trash can (so it’s sandwiched in between the gray line and the trash). I was trying to put in to the right of the faint gray line in with all the apps, etc. and it would bounce out. Hope that helps! I tried to place the Downloads folder on to the icon bar on my daughters MacBook Air but it will only display as a tiny document. How do you get it to look like the folder icon? Control-click the “tiny document” icon and choose Folder from the Display As section of the menu. followed instructions. Nothing happened. Downloads folder will not place itself on the dock. ?